Leica is one of the major contenders in photography world always being in the news once it announces their new products. In the compact system camera category, the Leica X series has made lots of fans who are crazy about any of the new version of this line. For the Leica lovers, for sure it will be a great day, this coming Thursday, May 10th. This because on Thursday, May 10th, Leica will announce the Leica X2 and will be available for purchase straight from that date. Leica is also going to announce a digital camera which has a pure black and white sensor. This pure white and black sensor is something unique from Leica and for this uniqueness, Leica lovers and buyers will have to pay extra to grab one. From one of the recent Leica rumors we have been heard that the price of the Leica MP Black and White camera will be around to US$9,000 apiece. 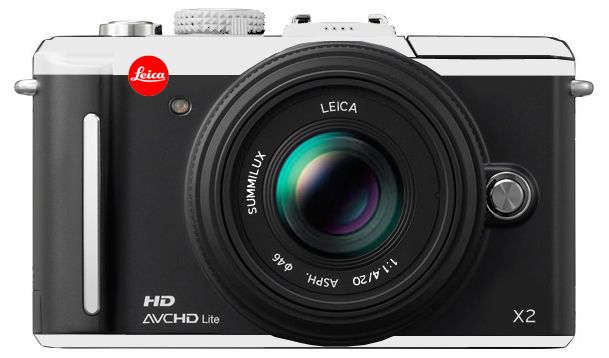 Leica also is going to release the Leica X2 with the fixed 35mm f/1.4 Summilux lens. The price would be around US$3,000 apiece. This is more than the previous version almost US$1,000. Leica X1 has the price tag of US$2,000 for purchasing. The Leica X2 is belonging a 16 or 18 MPX sensor, which was indicated in the Leicarumors, and also has an EVF as optional. The LCD and AF have been also improved in this version. But it is really bad news that the Leica X2 doesn’t have an option of an interchangeable mount but instead a fixed lens.